Enjoy your vacation at your second home—no hotel needed! When not relaxing at your property, you can rest easy with additional income from renters. If things don’t work out with your second home as a short-term rental, you can always shift to a traditional long-term rental, sell it or keep the property as your personal vacation home. Vacation properties are a great way to add to your cash flow and, depending on the market, can turn a profit. 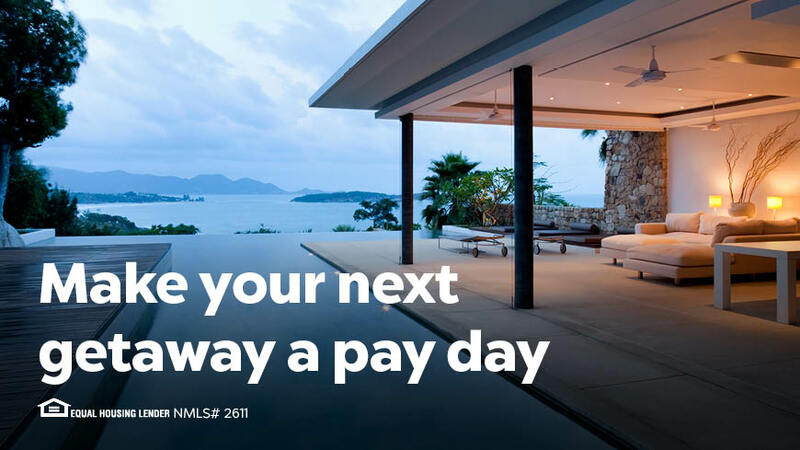 Earn cash off your rentals by claiming tax deductions based on how many days a year you spend in your vacation home and how many days the property is rented out. Vacation rental properties can appreciate in value over time. They can provide a monthly income and tenants can help you pay off the property with their rent! Get some R&R by reaping the benefits of a vacation rental! All information provided is for informational and educational purposes only, and in no way is any of the content contained herein to be construed as financial, investment, or legal advice or instruction. Guaranteed Rate does not guarantee the quality, accuracy, completeness or timelines of the information in this publication. Some information in the publication may have been provided by third parties and has not necessarily been verified by Guaranteed Rate.